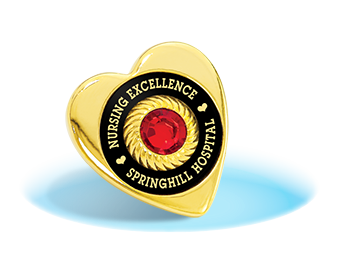 Now it is easy to give custom recognition to honor and inspire your Skilled Nursing team. 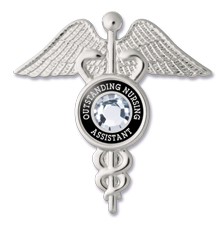 Our quality nurse lapel pins are made in the USA with Your Wording and Swarovski® Crystal or Your Logo. 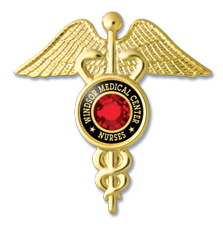 Each pin is made with solid brass finished in gold or rhodium, plus they are customized FREE on 10+ alike.